Can George Campbell stay healthy? Can Keith Gavin become a consistent threat? Will Tamorrion Terry and Deonte Sheffield play like they did in the spring game in a real game? Which freshmen receiver will step up? As you can see, the Seminoles have talent at every wide receiver position. 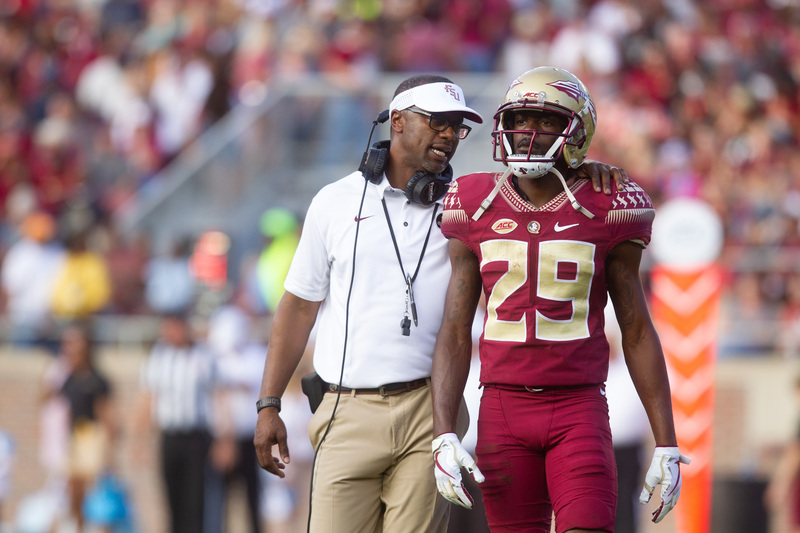 The players should also be set up for more success with Taggart’s system, which requires the receivers just to know their routes rather than everyone else’s as well. The simplicity could lead to absolutely lethal results. Nyqwan Murray and DJ Matthews were developing into a dangerous tandem prior to Murray’s injury early in spring practice. Both players are quick and athletic with a knack to make plays. Matthews looks to be a rising star. George Campbell and Keith Gavin are both heading into their juniors years and they need to produce sooner rather than later if they don’t want to be passed up on the depth chart. Campbell has been oft-injured during his career but the problem was rumored to be finally taken care of this offseason. Gavin flashes the talent of a top receiver but he’s extremely inconsistent. Both players will have a chance to earn their spots in fall camp. Tamorrion Terry and Deonte Sheffield were two of the stars in the spring. Terry caught five passes for 129 yards and score during the Garnet and Gold game while Sheffield reeled in nine catches for 117 yards and a score. Both guys flashed big play ability in the Gulf Coast offense and they each could develop into key players as the season moves on. Terry’s frame and leaping ability make him an absolute weapon. He’s also quicker than former FSU star Auden Tate. The Georgia native has all of the talent in the world and Taggart is trying to take advantage of it. The newcomers will also be trying to stake their claim as the `Noles signed one of their most talented wide receiver classes in recent memory. Warren Thompson, Tre’Shaun Harrison, D’Marcus Adams, Jordan Young, and Keyshawn Helton are all extremely capable players. Thompson, Harrison, Adams, and Young all have a chance to see playing time depending on their performance during camp. Harrison and Young especially are great with the ball in their hands and could create plenty of big plays early in their careers. This freshman class will be extremely exciting by the time they’re leaving Tallahassee. New wide receivers coach David Kelly should have a lot of fun with the tools at his disposal. If he can squeeze production out of Campbell and Gavin while boosting his younger guys, Florida State could have an exciting year through the air. It’s up to this unit to challenge themselves and realize their potential if they want to Do Something.